In the 1970s, Margaret Wood (Navajo/Seminole) was compiling sketches and notes on clothing in the Denver Art Museum that would be the basis for her book, Native American Fashion: Modern Adaptations of Traditional Designs. It was published in 1981 when she opened her fashion company in Arizona. Over twenty-five years later, her book’s opening sentence still rings true; she stated, “Although there has recently been widespread interest in Native American arts and crafts, little attention has been paid to Native American decorative clothing.” Wood’s book remains the only one to focus on Native contemporary fashion. Written from the perspective of a designer, her book demonstrated, through instructions and images, how traditional Native clothing could be updated, or, in her words, modernized, to be wearable today. She also demonstrated how contemporary popular trends could be ‘Indianized’ with tribally-inspired elements such as symbols, design motifs and materials. While her book’s examples focused on 1970s popular fashion trends, the principles that she provided could be applied today and into the future. Wood made the connection: through what she wore she could express pride in Indian identity and serve as a positive role model. 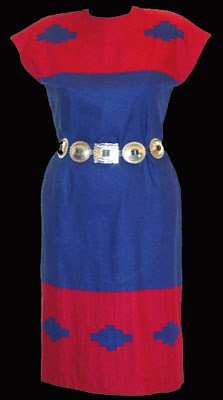 Her garments were inspired by Navajo, Seminole, and other tribal clothing traditions that she read about or researched. 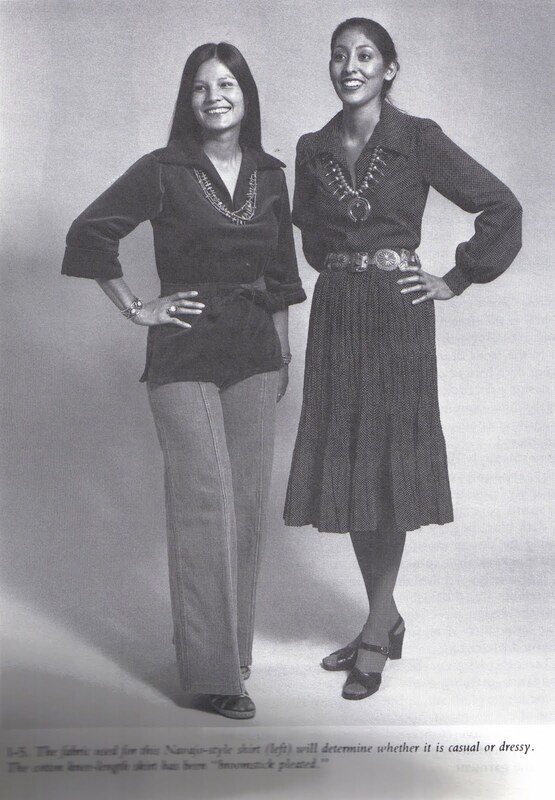 These garments informed, or reinforced, students’ knowledge about Native designs and clothing. 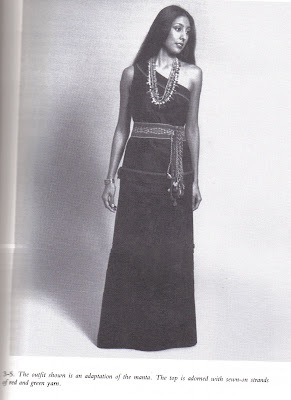 Her intentions for the book were threefold: to create contemporary versions of Native clothing designs and styles, to reveal Native women as talented, creative, and innovative, and to encourage Native youth to continue their tribal clothing practices. For these purposes, her book included cultural information, historical examples from the Denver Art Museum, and instructions on how to create contemporary versions. 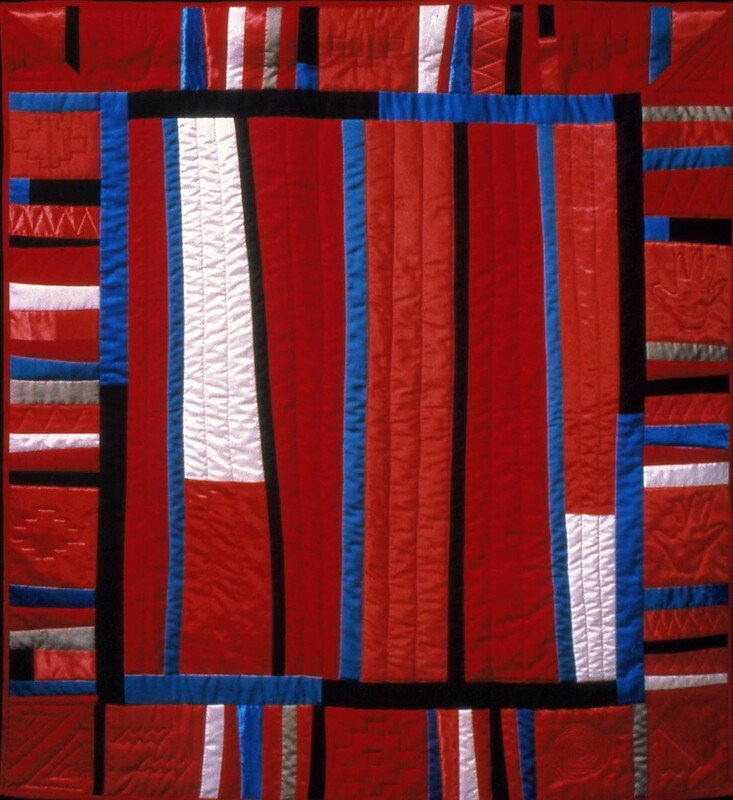 Wood stated, “I hope that my book and fashions will encourage young Native Americans to participate and preserve the clothing heritage of our peoples.” She included garments inspired by a variety of tribal traditions; she researched the designs, symbols, and motifs, and offered options for the reader to create garments that would distinguish the chosen tribes. In 1981, after the launching of her book, she founded Native American Fashions, Inc. in Phoenix, and she spent the early 1980s running her business and creating cloth art work. 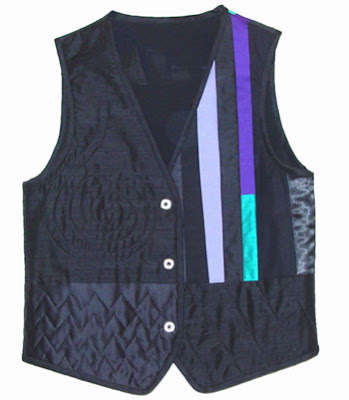 Wood’s innovative and unique work in the world of Native fashion offers a bridge between traditional clothing design and contemporary Native clothing design. 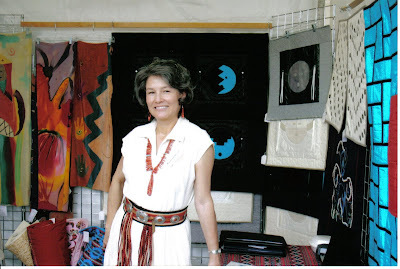 Margaret Wood continues to work in cloth, mainly creating quilt art which she sells regularly at the Heard Museum Guild Indian Fair and Market in Phoenix every spring.